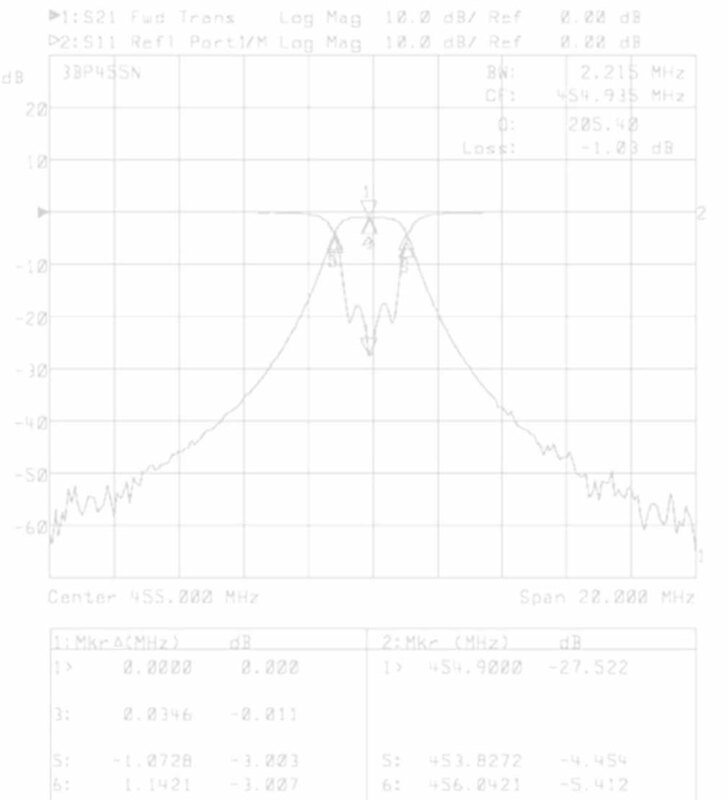 Angle Linear produces filters to complement it's line of low noise preamplifiers. 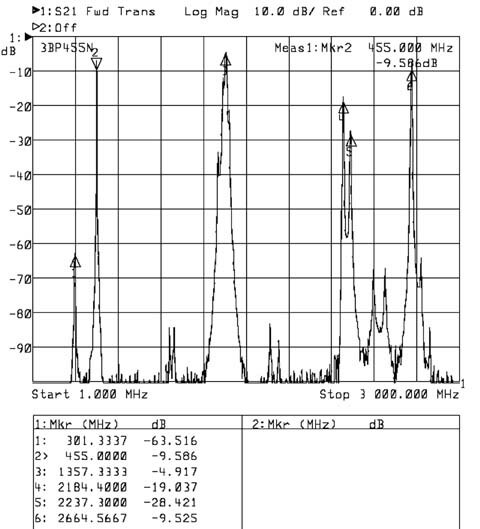 If you have interference on your frequency what good is to have great sensitivity? 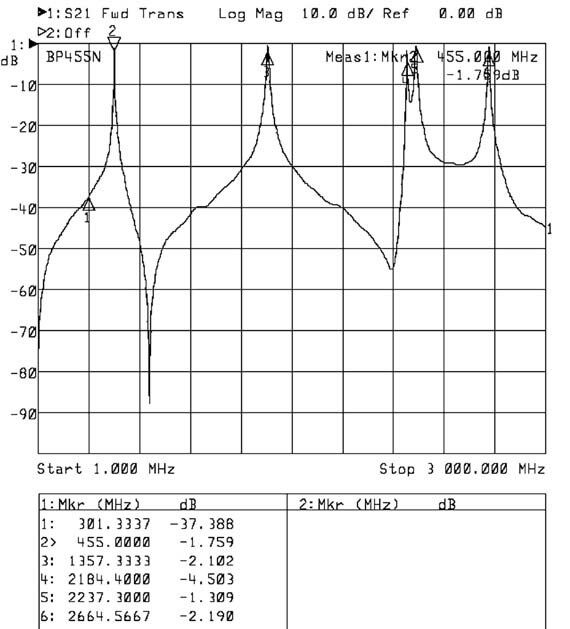 Regardless of the type of system you use you must have adequate filtering. 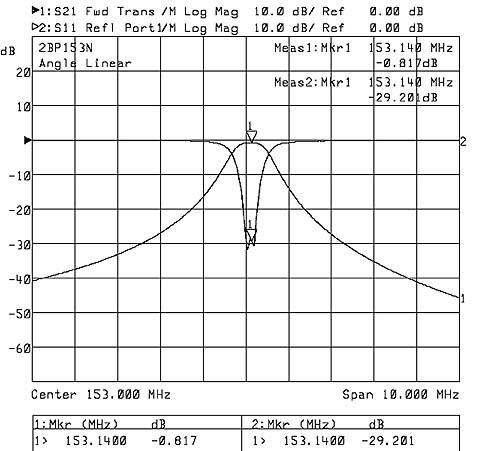 to survive. 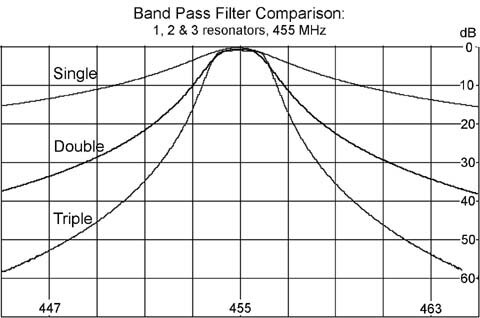 Today's hostile RF environment makes the use of band pass filters an absolute necessity and it doesn't really make any difference where you are located anymore. 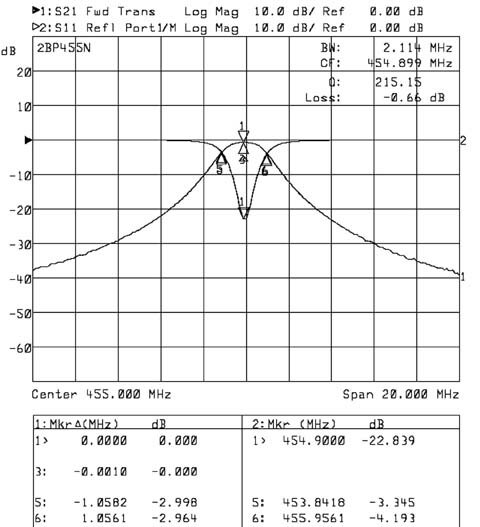 It doesn't do you any good the have a super preamplifier for great sensitivity if it is always is getting overloaded or has interference from adjacent frequency signals. 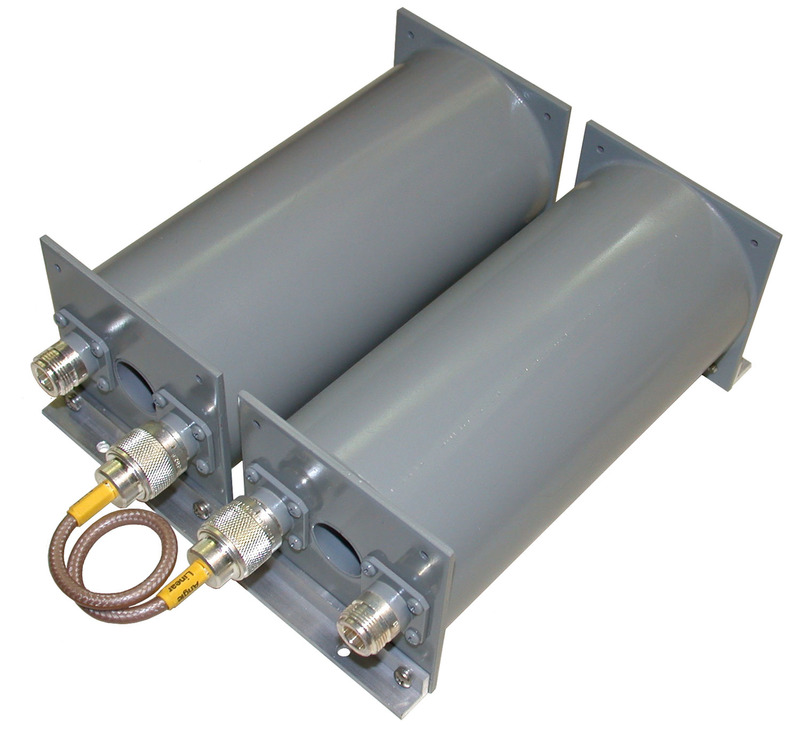 We produce single and multiple resonator (coaxial cavity) filters from 109 MHz up to 1300 MHz. 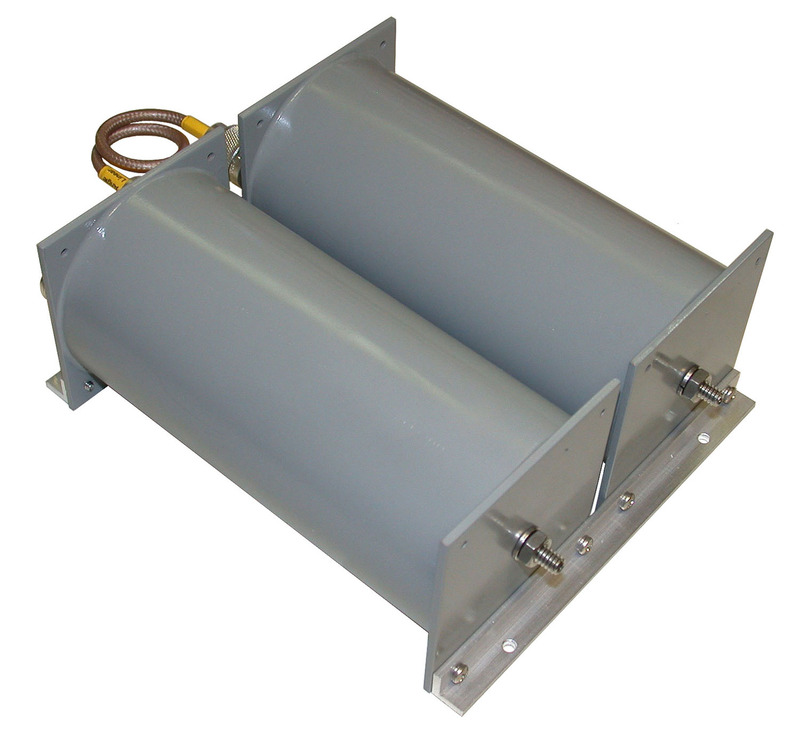 We can also manufacture custom filters to your requirements. 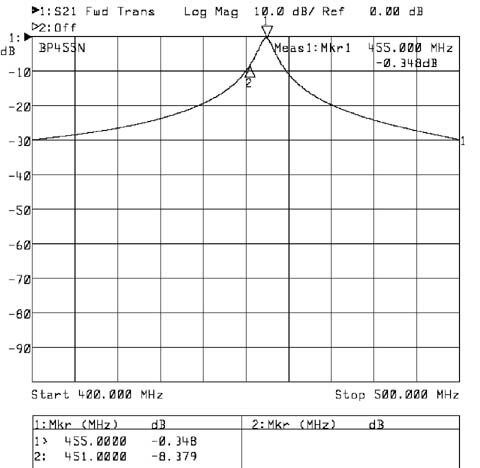 Copper is used throughout our filters to give maximum mechanical , thermal stability and the lowest insertion loss. 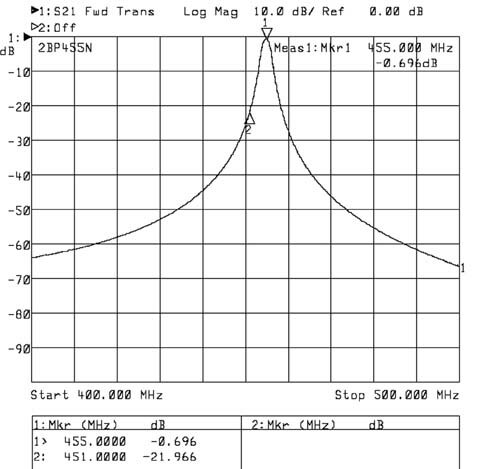 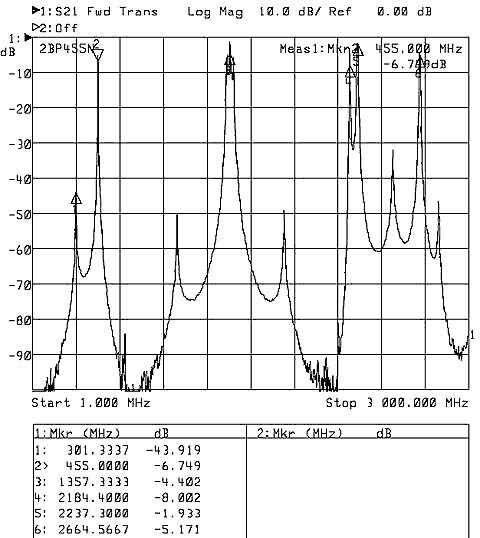 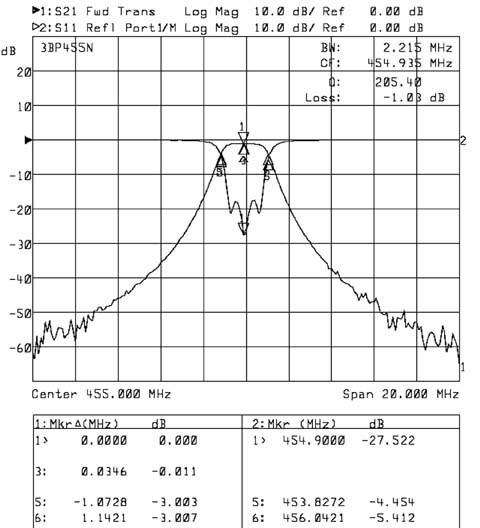 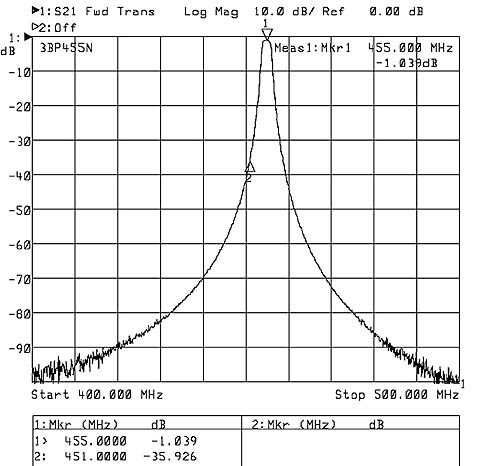 Shown below, dual bandpass 455 MHz filter. 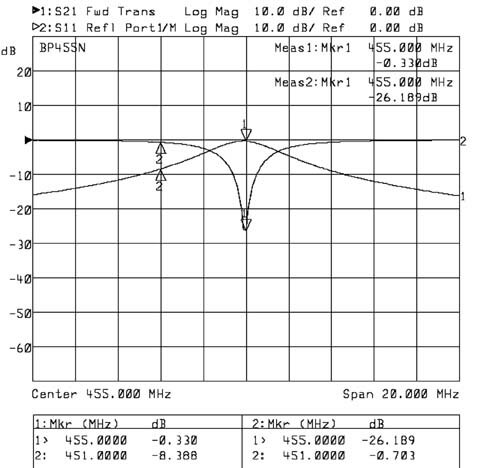 We provide single, dual and triple assemblies for virtually any application where low insertion loss and narrow bandwidth is required. 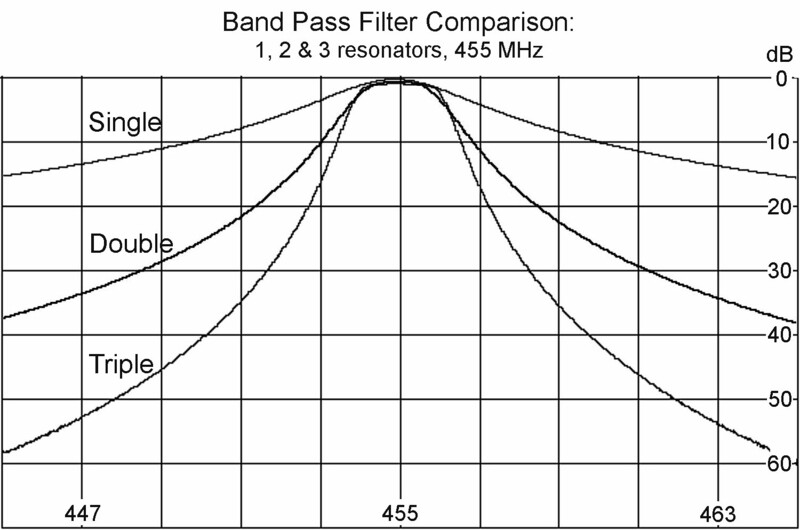 Notch filters can be combined with band pass filters for master receive front ends: triple BPF plus one notch.